Richard Irwin (Belper, United Kingdom) on 13 July 2007 in Plant & Nature and Portfolio. Some colourful seaweed detail. Another shot from the Cornish coast. I'm off on vacation today, and will be away about a week or so. I will catch up with peoples PBlogs end of next week. Lovley detail shot, the colors are really nice ! Nice close up ! love the metalic colors ! Awesome Richard! lovely detailing and colour...great job done! Really colourful. Difficult to believe these are just weeds. Amazing beauty under the sea. Thanks for letting us have this peek. Wonderful photo. Another beautiful underwater photo- great lighting. More like a beautiful painting than a simple shot. I'm a devotee fan of colors, and this picture has abundant amounts of my favourite colors. 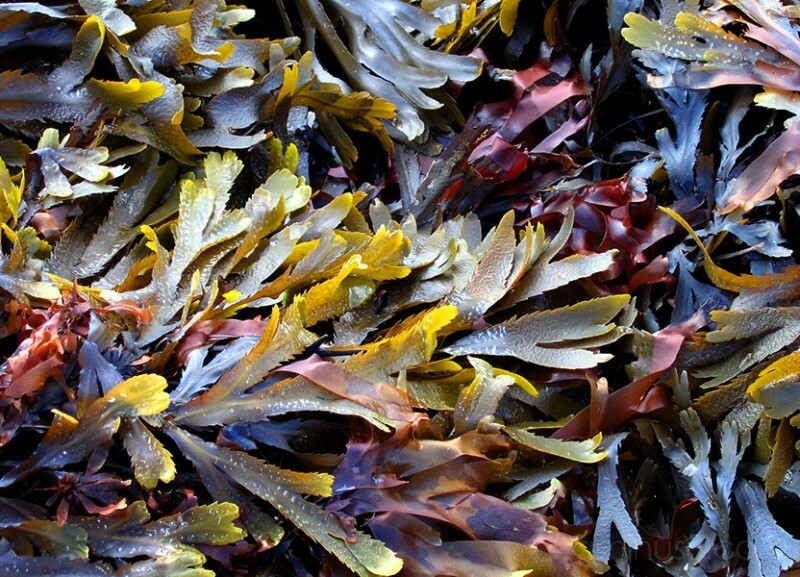 I just love the colours of the seaweeds! I love eating them as well - well, not sure if I could eat these ones though! Wow, such gorgeous colours! I never knew seaweed was any other colour but green! Awesome colors, amazing shot. Thanks for sharing such beautiful photo. great image richard. did you enhance the colours much or do the have a natural vibrancy? Very beautiful mix of colors. The colours are so vibrant. Good eye and nice photo. looks like fallen leaves. interesting. Wonderful subtle range of colours. Nice close up, great details and colours. good one. Everyone else said it all. Bravo.